Also, tweeting your Amazon Wishlist, Chrome’s dinosaur endless runner game, the live-action Sunset Overdrive trailer, and testing whether other smartphones are as bendy as the iPhone 6 Plus. 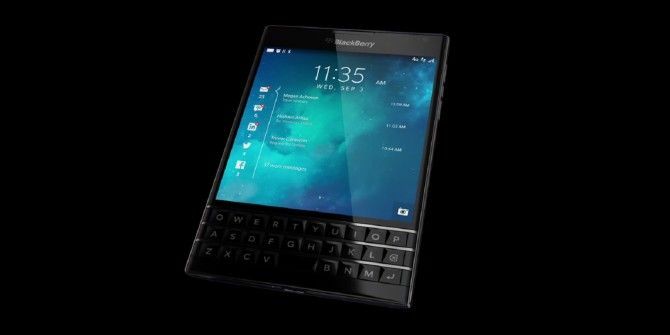 BlackBerry has officially unveiled its new smartphone. The BlackBerry Passport is a large, square handset with a 4.5-inch screen, and, as you would expect from a BlackBerry, a physical keyboard. With apps available from the Amazon Appstore How To Install & Use The Amazon Appstore To Get Awesome Free Apps! [Android] How To Install & Use The Amazon Appstore To Get Awesome Free Apps! [Android] How many apps do you currently use on a daily basis? The phenomenon of mobile apps has truly changed the way we operate when it comes to customization of our devices. Years ago, you would... Read More , and an off-contract price of $599, the BlackBerry Passport is an intriguing proposition, but what do the reviewers think? The Verge suggests the Passport is, “BlackBerry going back to its roots: making tools for getting work done.” It’s also called a “productivity powerhouse more comfortable in the boardroom than in the living room.” Criticisms include the Hub being “a great idea executed poorly,” and a camera which “takes pictures in the Passport’s square screen format by default.” Ultimately, in a mostly negative review, the Passport is described as “the best that BlackBerry can do, but that’s not enough.” High praise indeed. BlackBerry Living with a BlackBerry: Lame Duck or Genuine Android Alternative? Living with a BlackBerry: Lame Duck or Genuine Android Alternative? The new BlackBerry Z10 is certainly impressive – but how does using it compare with using a new Android or Windows Phone handset? I decided to find out. Read More hopes needs the Passport to turn its fading fortunes around, but if the reviews are anything to go on, the company faces an uphill battle to do so. 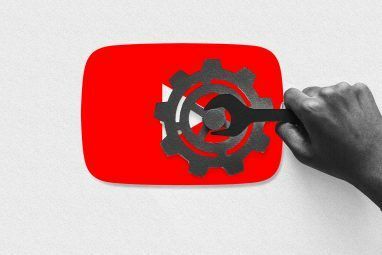 It’s clearly a thoroughly competent and usable smartphone, but that isn’t likely to be enough to persuade Android, iOS, or even Windows Phone users to switch away from their platform of choice. Apple quickly pulled iOS 8.0.1 after complaints it was turning iPhones into useless piles of junk. The update, released one week after iOS 8 iOS 8 Is Here: 10 Reasons to Install It Right Away iOS 8 Is Here: 10 Reasons to Install It Right Away If you own an iPhone, iPad, or iPod Touch, you'll want to upgrade it to iOS 8 as soon as possible. Here's why. Read More debuted, killed cellular reception and borked Touch ID. In other words, iOS 8.0.1 was meant to fix a host of minor bugs but introduced two rather major ones. The update is no longer available, and those who have already installed it are being promised a fix in the form of iOS 8.0.2. In the meantime, Apple has laid out how to downgrade to iOS 8 in a support document. What with the bendy iPhone 6 Plus The iPhone 6 Bends In Your Pocket, Blizzard Cancels Titan MMO, And More... [Tech News Digest] The iPhone 6 Bends In Your Pocket, Blizzard Cancels Titan MMO, And More... [Tech News Digest] Also, Samsung in Europe, Microsoft bug hunting, Google in-app purchases, texting while driving, and the Windows Phone cat. Read More and a bug-ridden iOS update, this is turning into a rather bad week for Apple. Amazon has introduced a new Twitter hashtag which adds items to your Amazon Wish List. After connecting your Twitter account to Amazon, you simply reply to any tweet containing an Amazon product link with #AmazonWishList. You’ll then be tweeted back and emailed, and have that product added to your Wish List. This is in addition to the #AmazonCart hashtag which Amazon launched in May. But we suspect people will be more willing to add a product to their Wish List rather than their shopping basket. 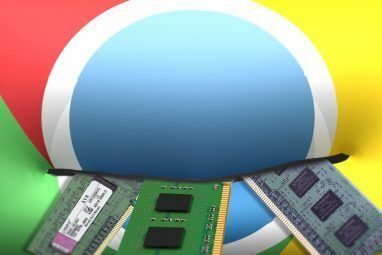 Google has added a hidden endless runner game to Chrome, but it’s only currently available to those running Chrome Canary What Google Chrome Canary Is [Technology Explained] What Google Chrome Canary Is [Technology Explained] Read More . The game shows up when you’re unable to connect to the Internet, with the Tyrannosaurus Rex that has always shown up on that error page now the star of his own endless runner game Love Temple Run? 5 Alternative Endless Running Games For Android Love Temple Run? 5 Alternative Endless Running Games For Android Call them run-from-the-screen or call them endless runners, games like Temple Run are amazing fun. Read More . All you need to do to set him off running is press the spacebar. And then jump over every obstacle that gets in his way. Microsoft has released a new (anti-)trailer for Sunset Overdrive, and it’s absolute genius. Rather than simply show gameplay footage, as every other games publisher does, Microsoft sets up a fictional shoot for a live-action trailer, and shows us all what happens behind-the-scenes. The point is that shooting a live-action trailer for Sunset Overdrive would be impossible thanks to the insane gameplay and cartoonish violence. Which makes me want to play the game more than ever. It’s just a shame — at least for us PlayStation 4 owners — that Sunset Overdrive is an Xbox One exclusive 5 Xbox One Exclusive Titles To Make PS4 Owners Jealous 5 Xbox One Exclusive Titles To Make PS4 Owners Jealous Read More . Is The iPhone 6 The Only Bendy Phone? And finally, Lewis Hilsenteger, the guy who bent an iPhone 6 Plus The iPhone 6 Bends In Your Pocket, Blizzard Cancels Titan MMO, And More... [Tech News Digest] The iPhone 6 Bends In Your Pocket, Blizzard Cancels Titan MMO, And More... [Tech News Digest] Also, Samsung in Europe, Microsoft bug hunting, Google in-app purchases, texting while driving, and the Windows Phone cat. Read More with his bare hands on video to show how weak Apple’s new phablet is, is back. And this time he’s testing the bendability of a host of other high-end smartphones to see if this is an industry-wide problem or an Apple design flaw. Among the handsets tested are the iPhone 6, the HTC One M8, the Nokia Lumia 1020, and the Moto X, all of which do much better than the iPhone 6 Plus. Which means that if you own an iPhone 6 Plus Should You Buy The Bigger iPhone 6 Plus? Should You Buy The Bigger iPhone 6 Plus? The term "phablet" very much applies to Apple's recently announced iPhone 6 Plus, but there's more to it than just a bigger screen. Read More you would do well to avoid keeping it in your pocket for any length of time. Which obviously isn’t ideal for a product designed to live in your pocket. Are you interested in buying the new BlackBerry Passport? Did you install iOS 8.0.1 before it was pulled? Should Apple apologize for the bendiness of the Phone 6 Plus? 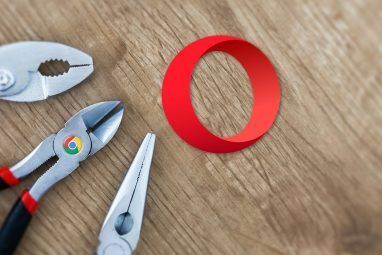 Explore more about: BlackBerry, Google Chrome.